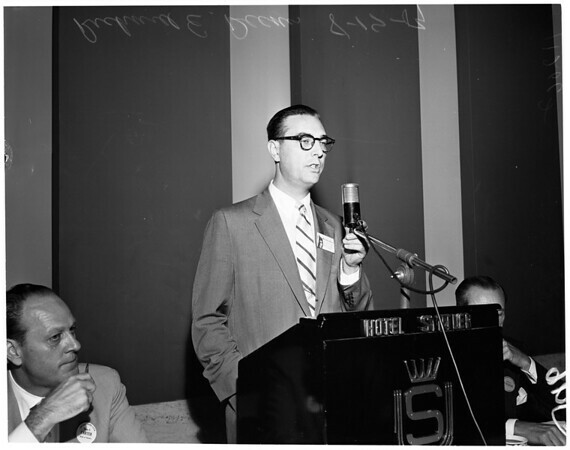 Robert E. Coleson, western Pep. of advertising council, who introduced Deems. 96/85: Richard E. Deems, addressing Ad Club".